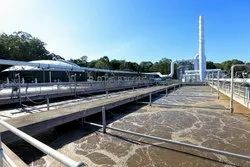 Leveraging on our industrial experience, we provide highly efficient effluent treatment plant and sewage treatment plant. The plants are developed by using an assortment of quality materials, procured from reliable vendors, domestic as well as international. These plants are used in various industries and can be customized on basis of clients specific requirements. We offer a range of Effluent Water Treatment Plants to our clients. These plants consist of various equipments that are sturdy and corrosion resistant. The plant has been fabricated in conformation to our quality policy under the supervision of our quality inspectors. Main application of the plant is to recycle the waste of waste water for reuse. Looking for Wastewater Treatment Plants ?